One week after the Bear Mountain 50 miles, my left ankle was still swollen. But I had work to be done for upcoming Cayuga and Manitou. So four of us went up to the Bear Mountain ski slope to do some hill repeat. Those crazy girls were doing the 3 miles warming up trail loop and followed by hill repeat run. For me and my whimp ankles, we were just doing 3 miles on the road and hike repeat. The best part was, we were doing barbecue after the work out, to bring back the calories. 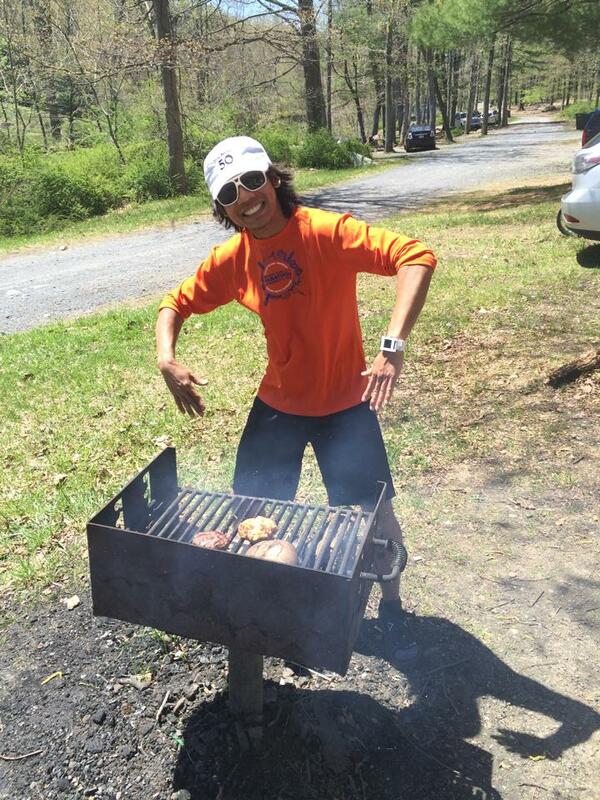 Hills and burgers were the right way to close my week.